Karina Sumner-Smith is the author of the Towers Trilogy. 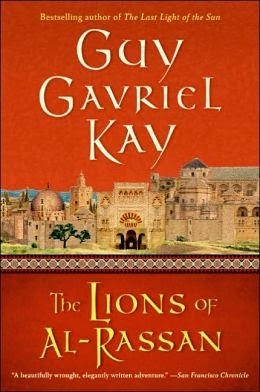 Guy Gavriel Kay’s historical fantasies are rich, detailed, and poetic—but here, as in his other novels, it’s the relationships between his characters that I remember. The Lions of Al-Rassan features three protagonists, each from different regions and religions; and though the setup is that of a love triangle, that isn’t what these people, their connections, or their story is about. The two men, in particular, are set up as romantic rivals, yet their tale isn’t one of jealousy but rather mutual respect and admiration, and as their world is slowly drawn into conflict, so are they—as leaders on opposite sides.